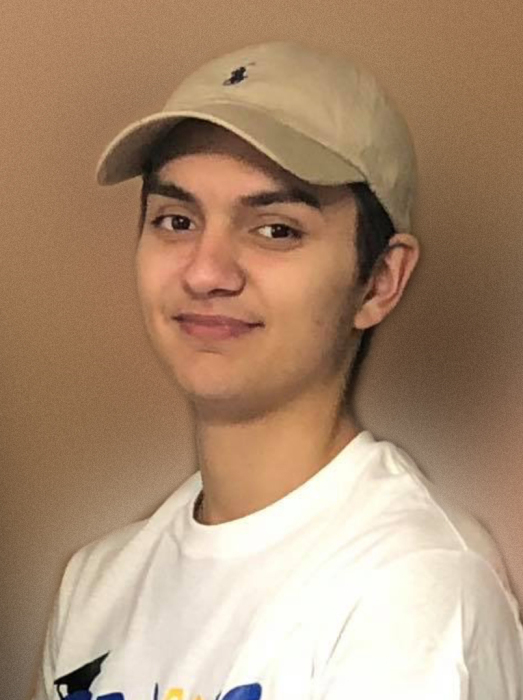 Danville – Austin Rey Camareno, 19 of Danville passed away at 2:34 AM on Saturday December 8, 2018 at OSF Hospital in Danville, IL. Austin was born on August 14, 1999 the son of Jennifer Gill and Juan Camareno, Jr. in Danville, IL and they survive. Survivors include his parents, Jennifer and Juan, both of Danville; brother, Trent Hunt of Danville; sister, Makayla Azimi of Danville; grandfathers, Mike Gill of Danville and Juan Camareno, Sr of Ottawa, OH; grandmother, Rosemary Hood of Fort Wayne, IN; great-grandfather, Jack Timm of Danville; and great-grandmother, Laverne Gill of Belgium; uncle, Mark Camareno of Danville; aunts, Michelle (William) Rose of Danville, Teresa Cooper of Ottawa, OH and Brandy Camareno of Danville, IL. Austin is preceded in death by his beloved grandmother; Traci Gill, great-grandmother, Wilma Timm, great-grandfather, Chester Gill and aunt, Angie Lynn Martin. Austin was a member of St. Paul’s Catholic Church and a 2018 graduate of Schlarman Academy where he was on the golf team for one year, played on the basketball team and was a four year Varsity Letterman on the baseball team. From the early age of 4, Austin played baseball on the American Legion Post 210 baseball teams and from kindergarten through 8th grade played on the Schlarman Saints football teams. He loved all sports, but his greatest love was baseball. Austin’s happy place was on the ball diamond, especially on the mound pitching. He was an avid Chicago Cubs and Bears fan as well as the Ohio State Buckeyes fan. He enjoyed hanging out with his family and friends, especially with his cousins, Keagen and Treyton Camareno. “Never Let The Fear Of Striking Out Keep You From Playing The Game.” was Austin’s favorite quote. A Mass of Christian Burial for Austin will be held at 10:00 AM Friday, December 14, 2018 at St Paul’s Catholic Church, 1303 N. Walnut Street, Danville, IL. Father Bo Schmitt will officiate. Burial will be in Sunset Memorial Park. Visitation will be held from 5:00 – 8:00 PM on Thursday, December 13, 2018 at Sunset Funeral Home and Cremation Center, 3940 N. Vermilion Street, Danville, IL. The family requests memorials be made to Danville Area Moms Demand Action. Please join Austin’s family in sharing memories, photos, and videos on his tribute wall at www.sunsetfuneralhome.com.